Photo of Hannah Lea in Gitman via The Midwestyle. I don't know how I missed this, but a few seasons ago Gitman Brothers (also known as Gitman Vintage), a heritage label out of Ashland, Pennslyvania, started (re)making oxfords for women. 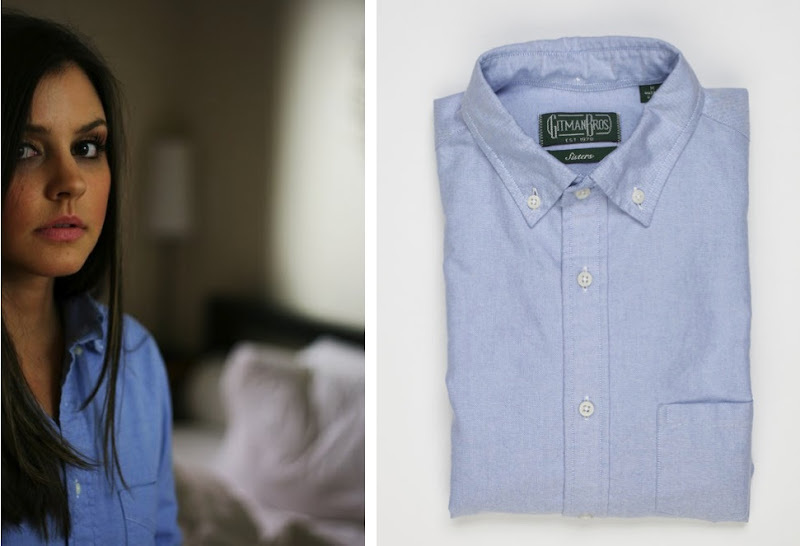 Apparently Gitman historically made shirts for women, but are now re-issuing Cambridge Oxfords shirts ($165) with the same fabrics they use for men under their Sisters Collection, just altering the sizes and fit slightly. Right now they're available in red, white and blue—and if it wasn't clear from their current color assortment, they're made in the U.S. of A. Such a simple and effortless piece. Very nice! I like the best of both worlds of the masculine and feminine style!